The following professional associations are part of the ﻿HerbMark﻿® quality assurance scheme which means they have the relevant education, professional membership, professional insurance and other standards of professional practice necessary. CPP members' practices are wholly focused on herbal medicine or phytotherapy. The CPP's mission is to be an exemplar for this practice, as a strong and effective therapeutic discipline in its own right and as a significant part of the healthcare spectrum. The RCHM was set up in 1987 to regulate the practice of Chinese Herbal Medicine in the UK and sets and maintains high standards. The register has over 450 members. This eclectic association includes practitioners from Western, Ayurvedic, Unani Tibb and Traditional Chinese schools of thought. Many members also practise other therapeutic modalities alongside herbal medicine, including naturopathy, acupuncture, reflexology, reiki and nutritional therapy. BATTM is a registered association representing Tibetan medicine in the United Kingdom. Is a member of an established professional association with professional indemnity insurance. The Herbmark is a mark showing a practitioner has these credentials. Otherwise don’t be reticent about asking for these details. 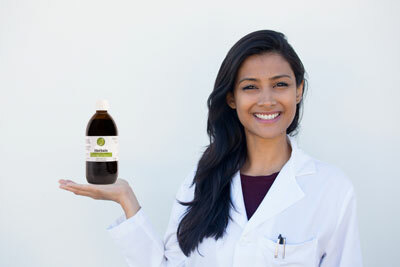 Offers herbal medicine as a main feature of practice. Homeopathy is a quite different form of treatment and should not be confused with herbal medicine. Herbal practitioners use plant medicines as extracts (tinctures and fluid extracts), decoctions and tisanes, powders, pills, capsules and ointments/creams to achieve and maintain a healthy body/mind in their patients. Your chosen practitioner should provide information about the length of the initial and follow-up appointments and the charges, including those for herbal medicine. A properly qualified practitioner should be trained to know about common medical conditions and will need details of your medical history. You can discuss the likely length of a course of treatment during the first consultation which usually lasts longer than follow-up appointments. When appropriate, he/she may request that you have blood or urine tests or other interventions. He/she may want to record your blood pressure or listen to your heart and/or lungs using a stethoscope. If the need arises, your practitioner may ask you to visit your GP. Of course, this would only happen after you and your practitioner discussed your particular case and with your agreement.